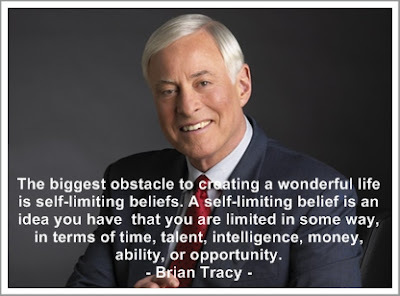 Brian Tracy is one of the top Canadian professional Business and personal success speakers and authors. Success equals goals; all else is commentary. Get around the right people. Associate with positive, goal-oriented people who encourage and inspire you. An average person with average talent, ambition and education, can outstrip the most brilliant genius in our society, if that person has clear, focused goals. A feeling of continuous growth is a wonderful source of motivation and self-confidence. Communication is a skill that you can learn. It’s like riding a bicycle or typing. If you’re willing to work at it, you can rapidly improve the quality of every part of your life. Be a lifelong student. The more you learn, the more you earn and the more self-confidence you will have. Committing your goals to paper increases the likelihood of your achieving them by one-thousand percent! Intellectual capital is the most valuable of all foctors of production. Successful people are always looking for opportunities to help others. Unsuccessful people are always asking, "What's in it for me? Time management is really personal management, life management and management of yourself. Telling is not selling; never make a statement if you can phrase it in the form of a question. The establishment of a clear, central purpose or goal in life is the starting point of all success. Your greatest asset is your earning ability. Your greatest resource is your time.Your most valuable asset is your earning ability. It’s your ability to apply your knowledge and skills in a timely fashion in order to get the results for which others will pay. Treat objections as requests for further information. Any great achievement is preceded by many difficulties and many lessons; great achievements are not possible without them. Your success in your career will be in direct proportion to what you do after you’ve done what you are expected to do.